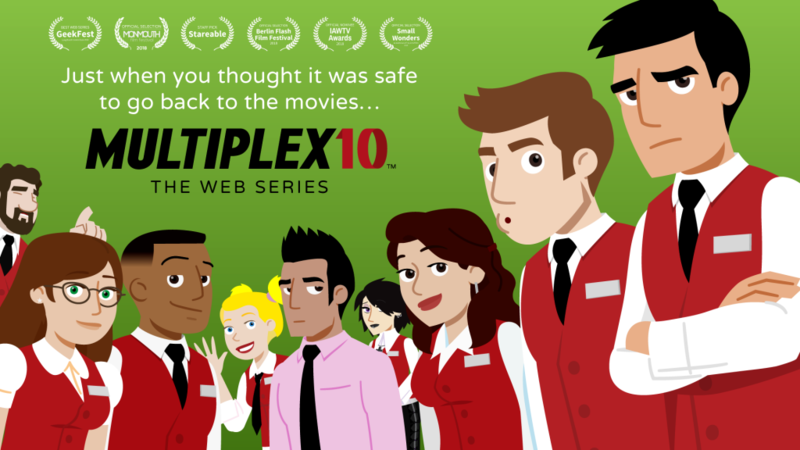 Multiplex 10 – An animated comedy series about movie nerds. An extra-length Multiplex 10 Movie Minutes episode with Kurt and Jason reviewing all three films in the How to Train Your Dragon Trilogy (spoiler-free for the third one, but not the first two), aiming for a March release. A shorter, timely web series episode similar to our first batch of episodes, with an approximate April release. One final web series episode along the lines of our biggest and longest episodes “Self-Help,” “More Than Meets the Eye,” etc., aiming for a late April/early May release. Due to the ambitious nature of the three episodes we’ve produced to date, which run longer than the first SIX web series episodes combined (not counting credits), and we’re running on fumes right now — so if you love Multiplex 10 and want us to keep making them, tell your friends about the series and help push us over the finish line by becoming our Patreon patron today — or making a one-time donation. 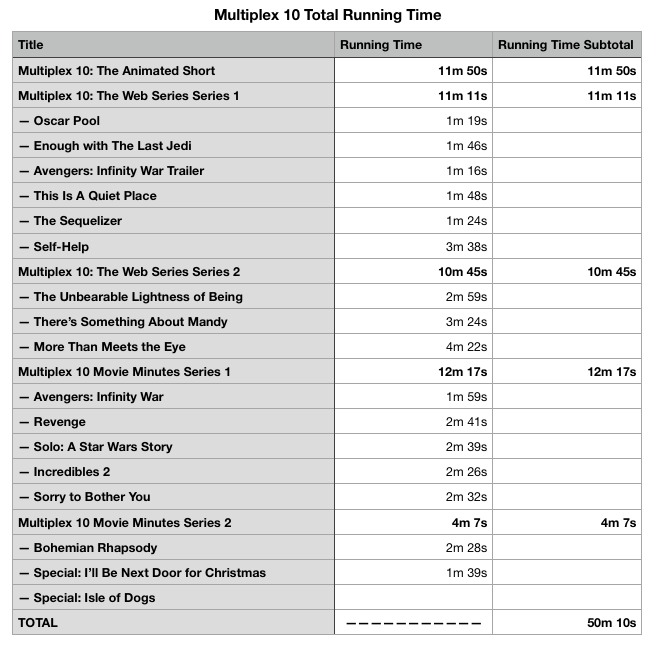 Obviously, we hope to produce more Multiplex 10 in some form after these episodes are done! (We’ll be doing some comics on this site, at the very least.) Who knows that the future holds? Thanks as always for your support! More soon. Jason review Wes Anderson’s latest stop motion animated feature, Isle of Dogs. “Multiplex 10: More Than Meets the Eye” is coming soon! Our longest web series episode to date, “More Than Meets the Eye,” is on track to be completed later this week. We’re aiming to release it to the public on Monday, February 18th. Please consider helping us keep Multiplex 10: The Web Series going by becoming our Patreon patron OR making a one-time donation at Stareable, PayPal, or Venmo. 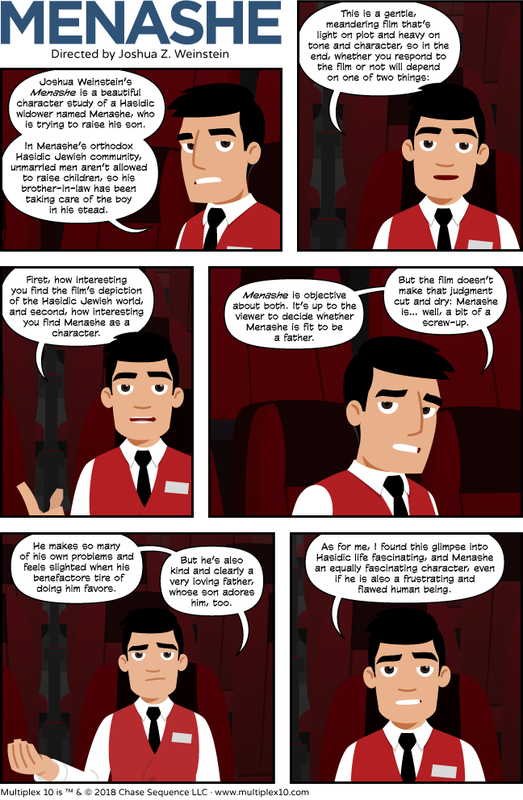 Apparently I had forgotten to upload this review comic, which was requested by our co-executive producer Avrom Honig. Menashe was a lovely character study, and you lament how much even “independent” films have started to shoehorn itself into Hollywood tropes in order to make a profit, you would do well to seek it out. 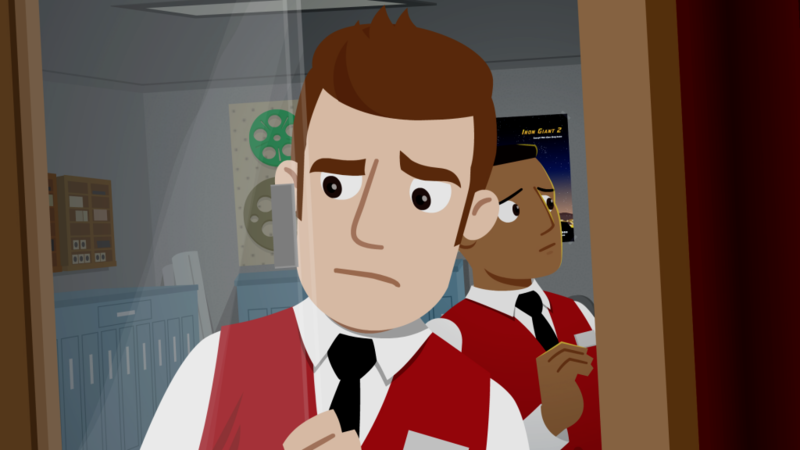 Just so you know, the next Multiplex 10 web series episode is coming… in a few weeks! It is by far the most complex one we’ve done to date, clocking in at over four minutes and featuring the largest cast of any of them. Notably, we’ll see the return of Becky (again played by Aiyanna Wade) and Franklin (played by Malcolm Ray from Channel Awesome). Bear with us! It’s a hard one, but it’ll be worth it. Our crowdfunded movie review series looks at the crowdfunded Christmas feature, I’ll Be Next Door for Christmas.